My wife and I have been married almost two years. Recently, and unfortunately, her grandmother passed away. Her grandmother had no immediate means to pay for funeral and burial services. The costs were paid by my wife and me on our credit card. The family has considerable land assets in Guilford County, but it is in her grandmother’s and multiple siblings’ name. My wife will inherit a portion of her grandmother’s land (split with my wife’s uncle). No one in the family has the means to buy us out, and, as is often the case, there is no reachable agreement by the family to divide the land. Is there any way to sell off some or all of what my wife is entitled to help reimburse us for the costs of the funeral and burial services? We have a solution for you! The property can be sold to pay funeral and burial expenses, but there are several steps you must follow. The answer assumes there was no Will, as a Will was not mentioned. First, your spouse will need to go to the Clerk of Court, Estates Division at the Guilford County Courthouse if the grandmother died in Guilford County and open an estate file for the grandmother. If the grandmother died in another county, you need to open the estate file in that county. Someone is going to have to qualify as the administrator of the estate. Your wife, as a granddaughter, may apply; others may also apply, but hopefully they will not. The administrator will be given “Letters of Administration,” showing that the administrator can conduct business for the estate. Second, the administrator will run a creditor’s notice as required by the statute and the Clerk’s office. The Clerk’s office should be helpful to explain this further when you appear in that office. Third, file the funeral and burial expenses and proof of your payment in the grandmother’s file at the Estates Division at the courthouse. Fourth, the administrator is required to tally the bills of the estate for all creditors (those that respond to the creditor’s notice and others with outstanding invoices related to the grandmother). Your bill would be among these bills. Also, the administrator is required to collect all assets, such as a bank account belonging to the deceased grandmother, a social security check, life insurance, and personal property such as a diamond ring. Finally, we know there is real estate. If any other assets of the estate are not enough to pay all creditors, the land will have to be sold in order to pay the creditors, including you. 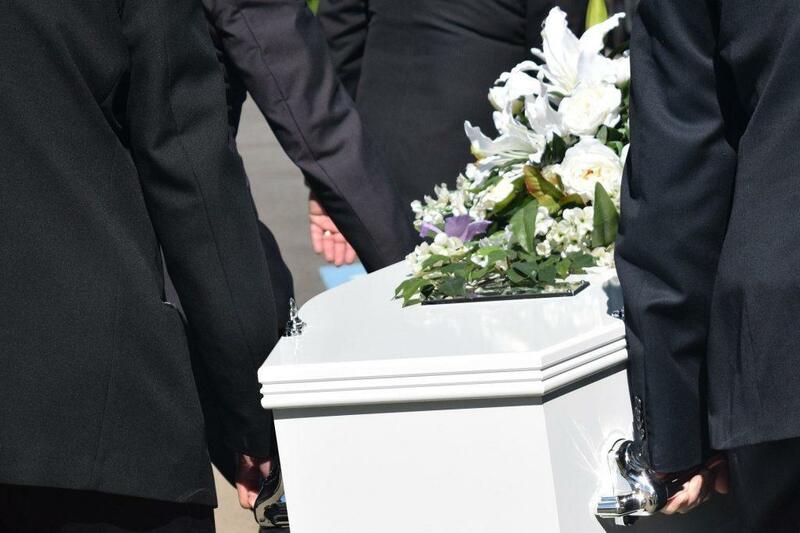 According to Bradley L. Jacobs, a local Estate Planning and Probate Law Specialist, “it is sometimes necessary to have the judicial sale to pay creditors and may be the only way to repay the funeral expenses. It is unfortunate though, as the judicial sale does require a hearing to determine if there are insufficient assets. An appraisal will be needed, and a petition to approve the sale.” It may be hard to accomplish all of this without an attorney for the estate, but approved attorney fees to do this will also be an expense of the estate and paid from the estate. I suggest you and your wife start with a visit to the Clerk of Court, Estates Division in the county where the grandmother died. Good look! Follow Ask Carolyn on Twitter and Facebook! This blog is revised from a previous Ask Carolyn in The Rhino Times.